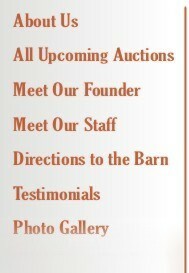 Miller & Sons Auctions, Inc.
Services to All of Our Buyers and Sellers! To get to the facility, you will go to Summersville. From Rt. 19, turn toward Craigsville north on Rt. 55. Travel 10 miles to Calvin and turn left on Creassy Road. Less than a mile, turn left on Oakmount Drive. Miller & Sons' Auction Barn is the first building on the left on Oakmount Drive.